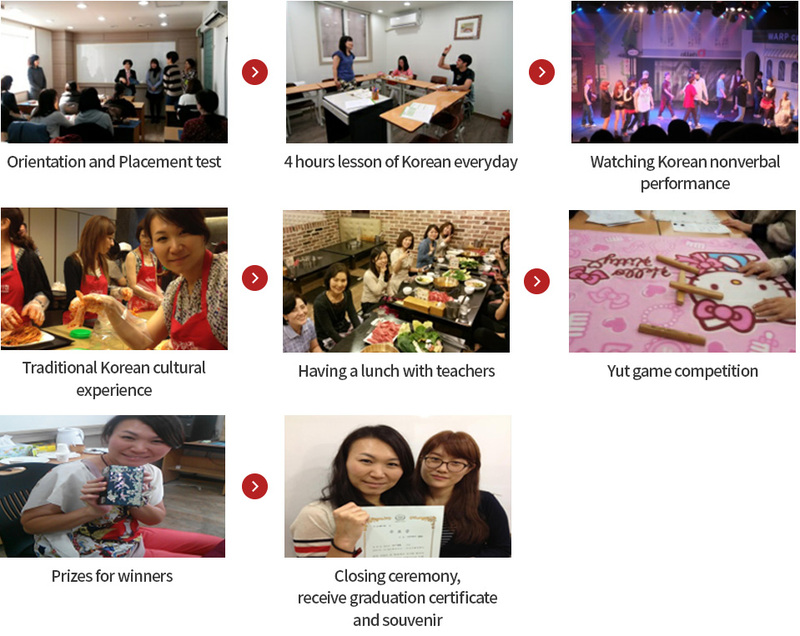 5 days, 4 hours/day Intensive class to study language and have cultural experiences. 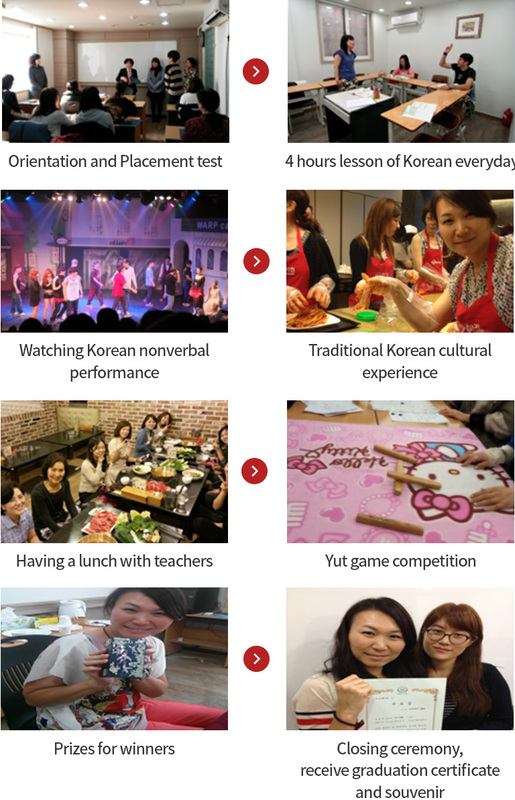 ※ If you want further instruction beyond the intensive, you may also join the regular morning course by paying an additional 30,000 won/day. *option fees are not included.